Back Office Pro (BOP) enables video production and editing companies establish an offshore video editing department to address in-house challenges and resource financial burdens. BOP employs permanent video editing professionals who are flexible enough to undertake variety of different projects that are more challenging. 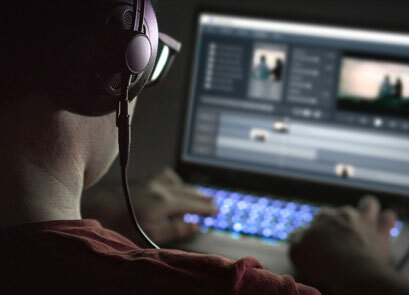 Highly-skilled video editing professionals have amassed a wealth of experience in corporate and creative video editing, making them the obvious choice when outsourcing video editing operations. Back Office Pro assembles custom teams for each new project. Our goal is to ensure that you are matched with video editors who are best suited to your vision. We have worked with studios, short film production houses, corporations, training institutes – all of which have helped us build up the incomparable experience necessary to take your raw footage and transform it into an attention-grabbing masterpiece. Back Office Pro helps in providing highlights, previews, reception videos, and animated movie-like wedding videos of the client’s dream wedding. BOP helps drone video editing service providers in offering neatly stitched aerial videos from randomly shoot rough footages by drones. Access to a number of professional videographers, each with their own array of valuable skillsets. A dedicated video editing team, able to work round the clock to ensure speedy and efficient project completion. Videos produced with the latest specialized software to guarantee the most remarkable results. Unparalleled quality of work - opportunities for consistent client feedback. Choose from a variety of available editing services, or request a completely custom project. Eliminate the budgetary constraints and trouble of maintaining an in-house video editing team. Ability to work with, and deliver, a variety of video formats capable of running on several platforms. Initial Consultation A focused session designed to get to the roots of your project, and build an idea of the requirements. Team Assembly Structuring of a fully supported project team, made up of industry experts who work with you to produce the best results. File Exchange File transfers pertaining to the project can either be transferred through our secure dedicated FTP servers, or via Dropbox for your convenience. Editing Process Editors will methodically import footage to the appropriate software, analyze it, and sequence the best clips. Thereafter, the clips will be graded and essential editing completed where necessary and audio will be mixed and synced accordingly. Quality Assurance Editing teams take responsibility for monitoring video development at all stages, reporting back for follow-ups on any defects. Re-editing will commence until 100% satisfaction is achieved. Video Delivery Throughout the project there will be continuous opportunities for input and collaboration to ensure that the final product is delivered on time, and to your requirements. Want to enjoy the benefits of working with your own expert outsourced video editing team? Contact us and one of our dedicated business development managers will get back to you within one business day.